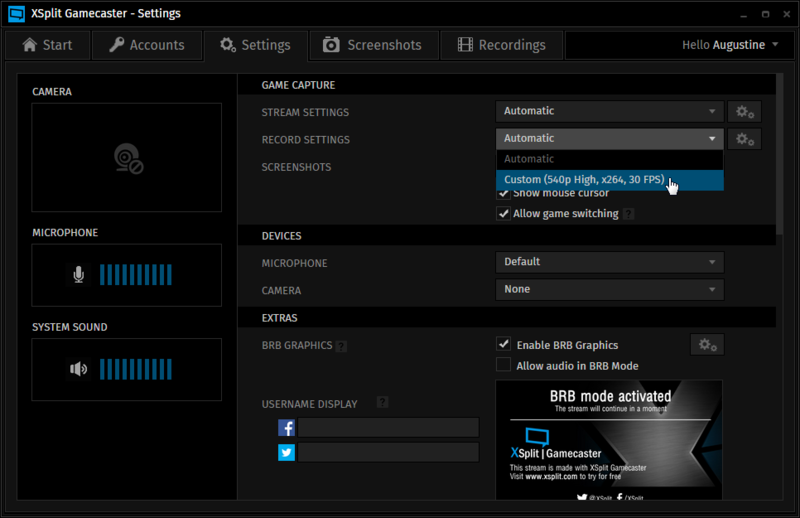 支持 > XSplit Gamecaster > Frequently Asked Questions > Advanced > Can I manually set a resolution and bitrate for recording? 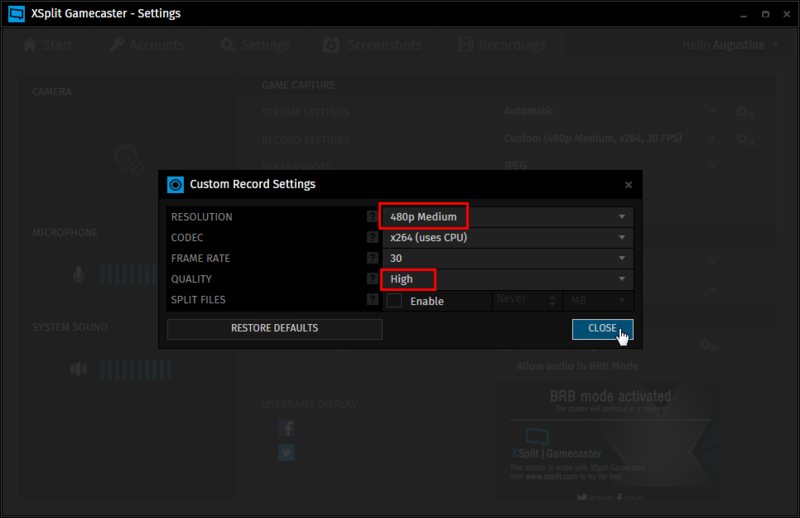 You can manually set a resolution by selecting from one of the preset resolutions - 360p, 480p, 540p, 720p, 1080p, and Original Resolution. You cannot manually set the bitrate, but you can specify a target quality from one of the preset qualities - Standard, High, Very High, and Ultra High. You may also select any encoder available in the CODEC box in the Custom Record Settings. The quality will only be determined by your quality setting but CPU usage and files size will vary if you use a hardware encoder instead of the x264 software encoder. 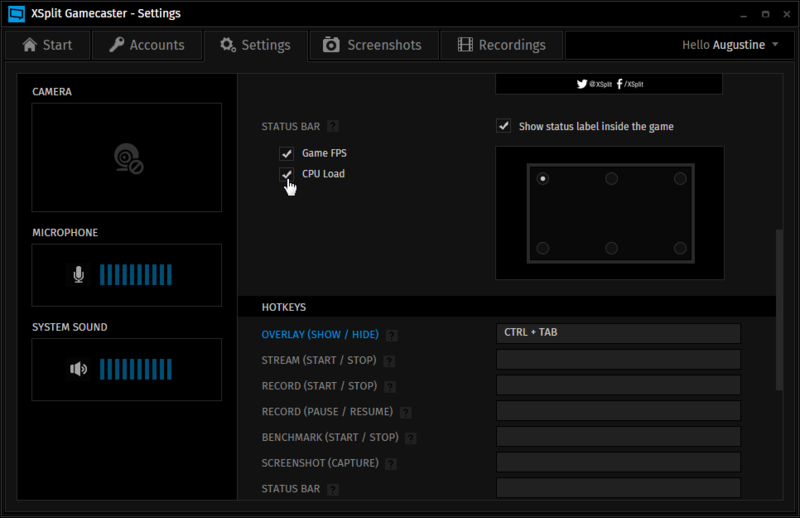 Finally, go to your game and try to record it with your selected resolution and quality. If it seems like it’s consuming too much CPU, go back to the Settings Tab and make the necessary adjustments to your recording settings.